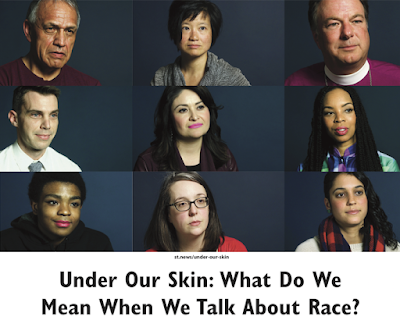 Shoreline Area News: Under Our Skin: What Do We Mean When We Talk About Race? The City of Shoreline and the Shoreline Library are sponsoring a series to explore The Seattle Times "Under Our Skin" video project around race and inclusiveness. Three videos will be discussed in each session. This month the discussion is about the videos Ally, Microaggression, and All Lives Matter. Discussion will inspire you to think and talk about issues of race in a deeper way. "Under Our Skin" will challenge your assumptions and build common ground. Sunday, September 23, 2018, 2 - 3:30pm at Shoreline City Hall Council Chambers, 17500 Midvale Ave N, Shoreline 98133. Free - all are welcome.